Colored Cornstarch Powder From Color Blaze – Big. Bright. Bold. Ordinary and common events can quickly turn into vibrant, energetic, visually compelling events no one will ever forget. Your everyday 5k can become a rainbow of fun! The simplest birthday party can come to life bursting with colors and fun. The founding anniversary of sororities and fraternities can be blasted with green, yellow, orange, pink, red, and blue powders. Have you ever wondered how colored powder can help you plan your next big thing? Originating from the Holi Festivals in India, Color Powder is the new generation of neon lights and laser beams. 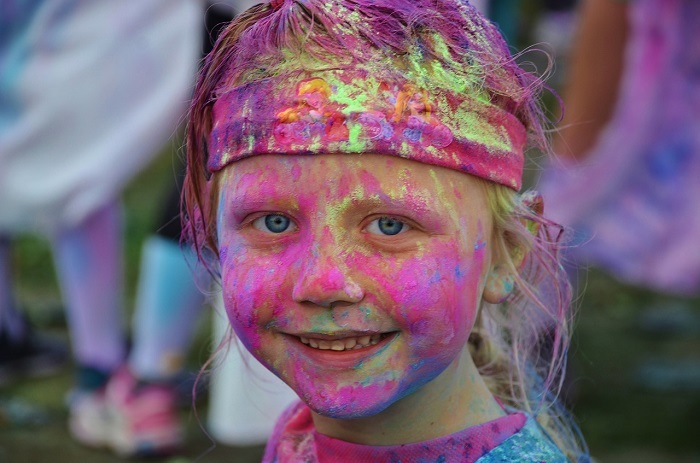 Fun Runs are springing up across the country using colored powder. The popularity of color powder events is a testament of how popular color powder has become. 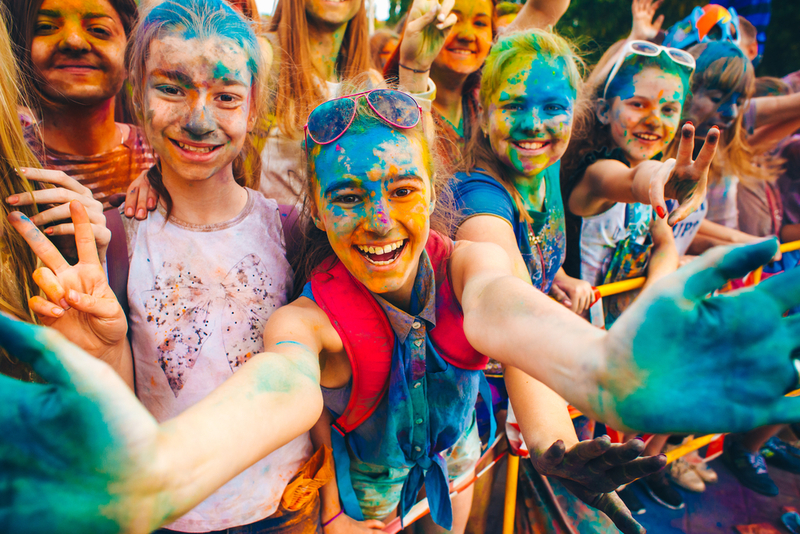 Festivals, sporting events, parties, special gatherings, and any other form of celebration, either big or small can embrace the extra fun color powders bring. Many are drawn to themed events and celebrations, so health concerns may be on your mind. Color Blaze, the friendliest dealer of wholesale colored powder, cares for the safety and health concerns of our clients. You may see Color Powder referred to as colored chalk ,colored dust, holi powder etc. Our color powder is offered in 8 bright shades and is made from cornstarch. It is FD&C and D&Cgrade and FDA approved. Passing the test for food and cosmetic dyes, and is 100% biodegradable. It is safe and easy to clean up with a little soap and water even though it gives participants a total makeover almost no one wants to wash off. Fun runs with color have shown how contagious the fun is. As runners go through color stations ,color powder in red, yellow, green, orange, purple, pink, teal and blue is thrown to give runners a sense of being engulfed by rainbows. So, how much color powder will you need for your upcoming event? Five Pounds? 50 pounds? 200lbs? Color Blaze can answer that for you. Our friendly customer service representatives are always ready to answer all your questions about color powder and more. You can choose to buy a 2.5 ounce individual packet or 500 pounds or more of bulk color powder . Individual Color Powder Packets – Ideal for a color toss at the beginning or end of a run, a pep rally or photo shoot. Individual Color Powder Packets are ideal for a Color Toss to start or end your run. The 2.5 ounce packets are filled with the colored corn starch and are also just the right size for a pep rally or photo shoot. Order at least one per runner for your color toss – you may want to consider ordering more to have on hand to sell to last minute attendees or individuals who just want to have fun throwing the vibrant shades around. For those picture perfect photo shoots, you may want to plan on having two to three individual color powder packets on hand for multiple shots. Our individual color powder packets and Bulk Powder is also used at Holi Festivals. You don’t need to visit India to witness their celebration of the coming of spring. Wait no more! You can host your own Holi Festival! 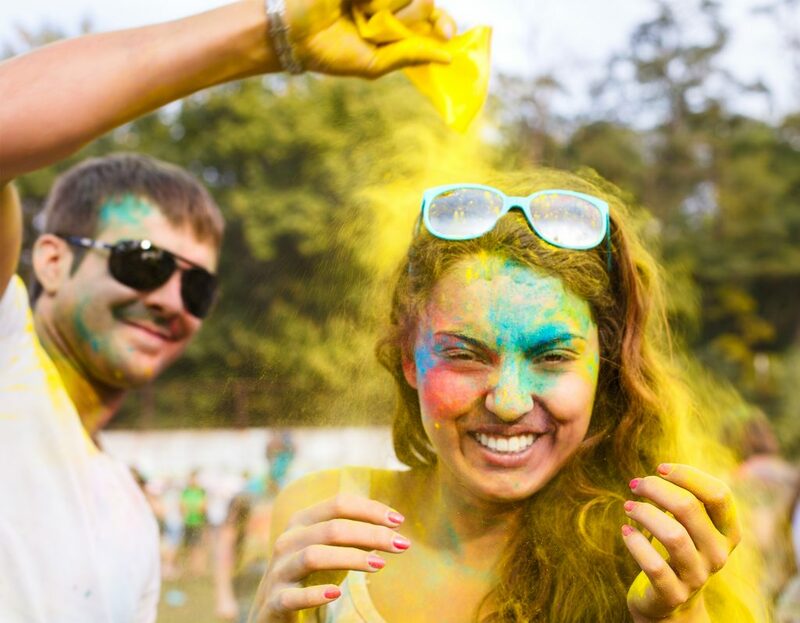 See our blog post on How to Host Your Own Holi Festival with our wholesale holi powder. We offer free shipping on many of our products and we always try to ship most orders on the same or next day they are received. We can ship to most locations in the United States in two to three business days. If you are ready to order color powder visit our shop page. Be Blue. Be Red. Be Orange. Be Teal. Be Pink. Be Yellow. Be Purple. Got ideas but unsure how to incorporate Color Blaze’ colored powder? Stuck with a boring, repetitive party plan? Sick and tired of watching festivities from the sideline? Ready to raise funds for a charitable cause? Ready to organize your own colored fun activity? Ready to host bigger, brighter, bolder celebrations? Don’t limit your creativity! Fun Runs with Color Powder are fun. They’re timely, relevant, and in demand. Organize a local fun run in your community. 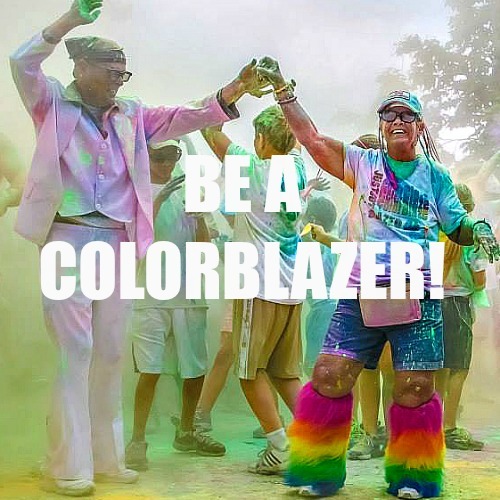 Color Blaze supports big, bright, bold fun runs with top quality, FDA approved colored dyed cornstarch powder. The order process is easy, shipment is fast. All you have to do is call us and we’ll help you design the best color package specific to your needs! Contact us now!